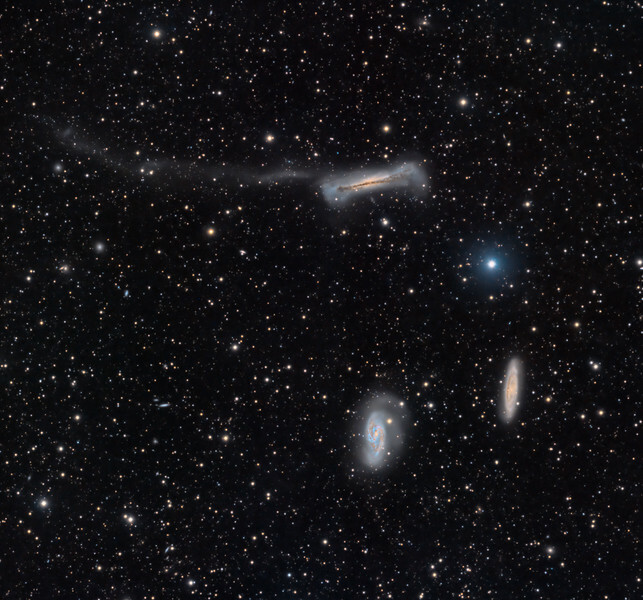 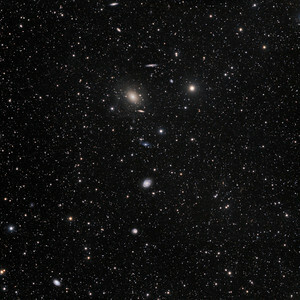 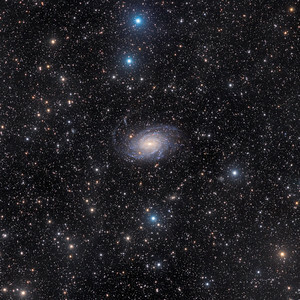 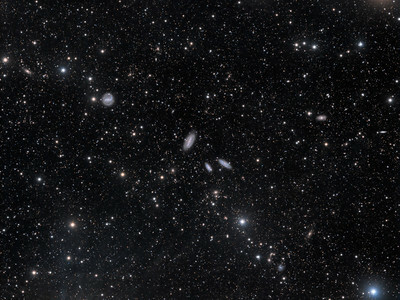 This popular group is famous as the Leo Triplet - a gathering of three magnificent galaxies in one field of view. 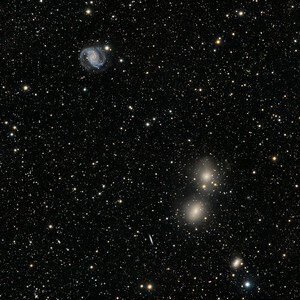 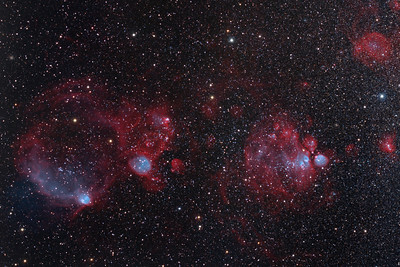 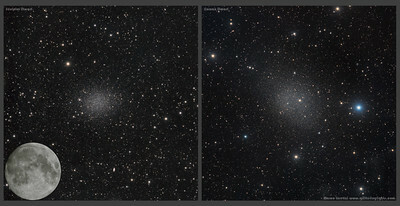 Crowd pleasers when imaged with even modest telescopes, these galaxies can be introduced individually as NGC 3628 (top), M66 (bottom left), and M65 (bottom right). All three are large spiral galaxies. 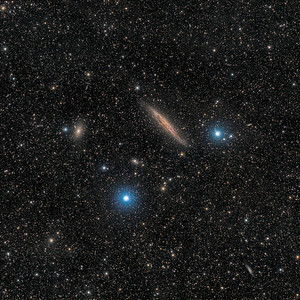 They tend to look dissimilar because their galactic disks are tilted at different angles to our line of sight. 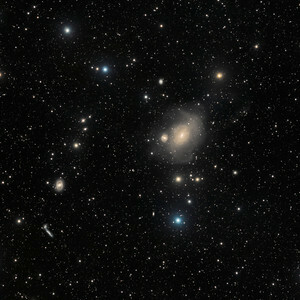 NGC 3628, nicknamed the hamburger galaxy, is seen edge-on, with obscuring dust lanes cutting across the plane of the galaxy, while the disks of M66 and M65 are both inclined enough to show off their spiral structure. 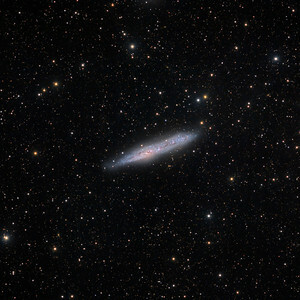 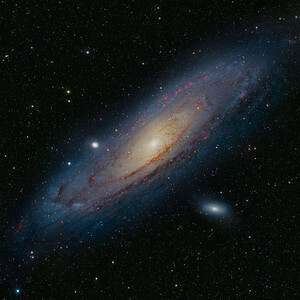 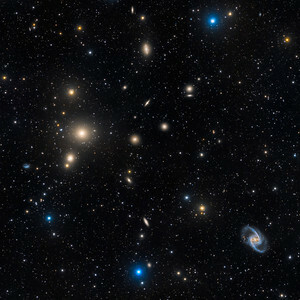 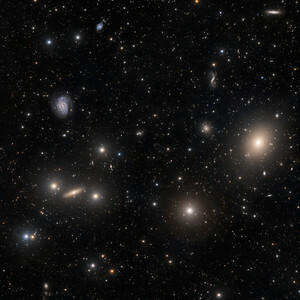 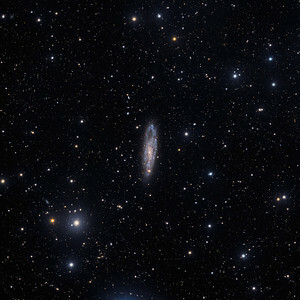 Gravitational interactions between galaxies in the group have also left telltale signs, including the warped and inflated disk of NGC 3628 and the drawn out spiral arms of M66. 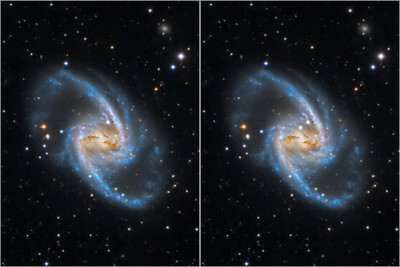 But, perhaps most intriguing is the spectacular tail stretching left for about 300,000 light-years from NGC 3628's warped, edge-on disk. 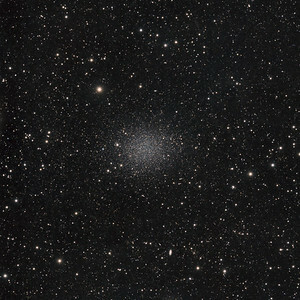 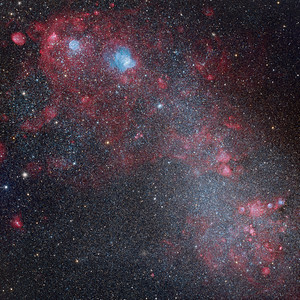 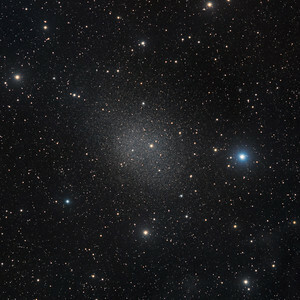 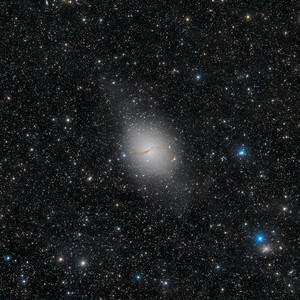 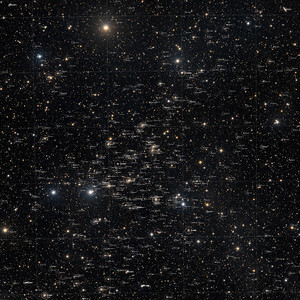 Known as a tidal tail, the structure has been drawn out of the galaxy by gravitational tides during brief but violent past interactions with its large neighbors. 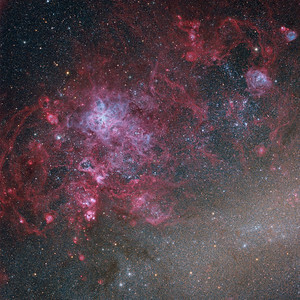 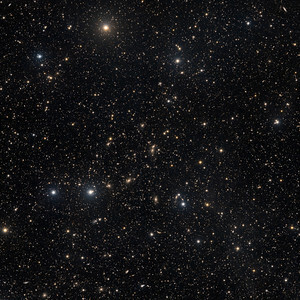 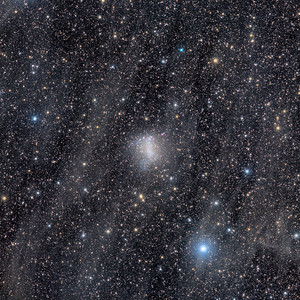 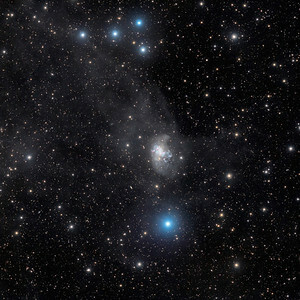 Not often imaged so distinctly, the tidal tail is composed of young bluish star clusters and star-forming regions (text adapted from APOD).